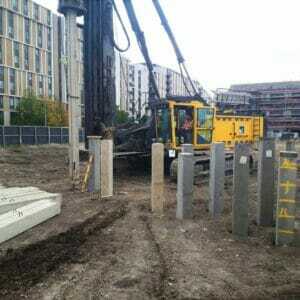 Aarsleff Ground Engineering was recently awarded the piling contract for the third phase of homes at Queen Elizabeth Olympic Park development of Chobham Manor, a flagship Taylor Wimpey residential and commercial development project being built in Stratford, London. Chobham Manor will comprise approximately 850 homes, a community facility, a nursery, shops and landscaped open spaces. Chobham Manor, situated between East Village and Lee Valley VeloPark, will offer residents world-class venues, cultural amenities and commuter access to the heart of London, completely transforming the area as part of the ongoing Olympic-led East End regeneration. Taylor Wimpey awarded the foundations contract to Aarsleff which, in addition to its vast experience on large-scale residential projects, also delivered Chobham Manor’s Phase 1 piling works in 2015 when the company installed 380 precast piles. 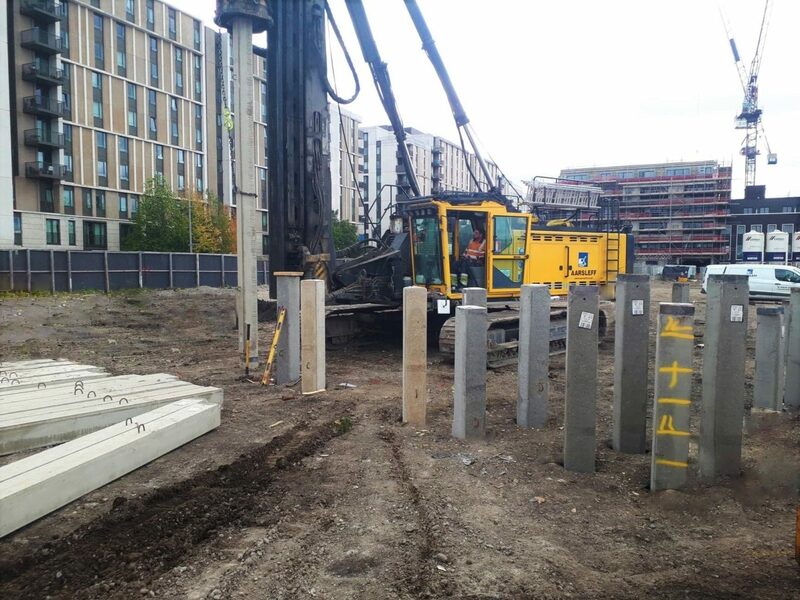 For Phase 3 of the development, Aarsleff utilised its Junttan PMx22 piling rig to install 1,170 250mm square precast concrete piles of up to 12 metres in length. Aarsleff also used its Comacchio MC1500 drilling rig to pre-bore the ground to a depth of eight metres in order to penetrate the limestone stabilisation band and allow for the piles to be driven to the required depths.